Oregon's Alpenfest is a long-running Swiss-Bavarian cultural festival held on the last weekend of September in Wallowa County, Oregon, known widely as Oregon's Little Switzerland. You'll discover a family-oriented and fun-filled event that celebrates the spectacular Alpine environment of Wallowa Valley. The 2019 edition of Oregon's Alpenfest will run Sept. 26-29, featuring polka music and dancing, yodeling, alphorns, Swiss and German cuisine, beer and wine, and art, craft, antique and gift shopping. Chuck Anderson of Enterprise, Alpenmeister and President and retired editor and publisher of the Wallowa County Chieftain. Lynn Wolf of Joseph, owner of Lakeside Interiors in Joseph. Cristiano Striegel of Wallowa Lake, co-owner of Park at the River RV park. 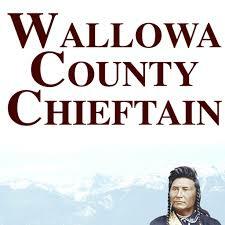 Calina Ide of Wallowa Lake, co-owner of Park at the River RV park. Peter Brandt of Joseph, owner of Alpine Auto in Joseph. Garik Asplund of Enterprise, farmer and caterer. To contact Oregon's Alpenfest, email alpenmeister@swissmail.com, call Chuck Anderson at 541-398-1096 or send a letter to P.O. Box 327, Joseph, OR 97846.